Join me as I chronicle the adventure of turning our West Los Angeles traditional style home (on Purdue Avenue) into an eco-friendly country farmhouse that you might find in Southern France or the Tuscany region of Italy. Can we do it without an architect or a designer and with a seriously limited budget? You'll have to stay tuned to find out! 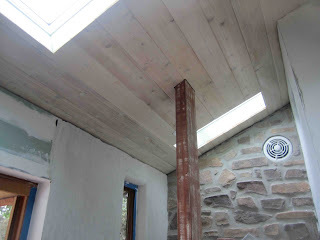 We've just about finished putting in the cedar planks in the North half of our house. And the dry wall. Whew! 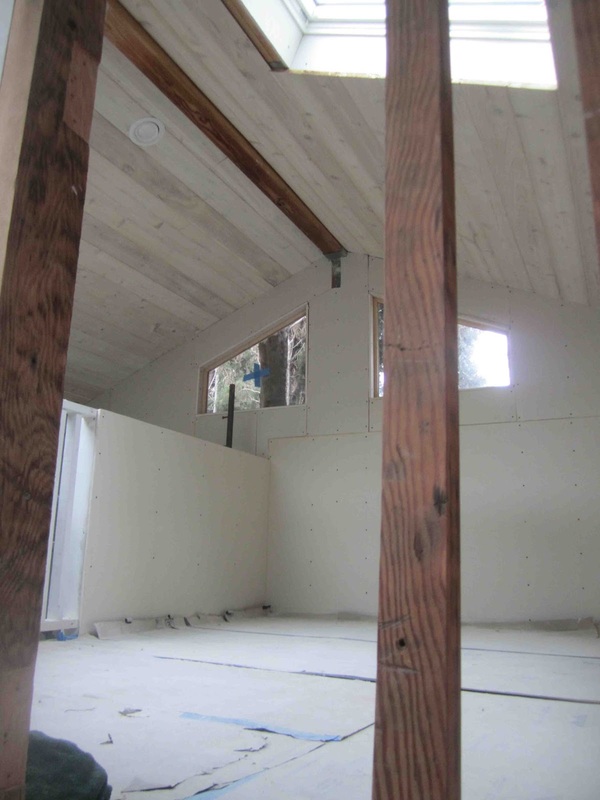 Today the crew started to add the tape and joint compound in effort to prep for the primer coat and plaster. 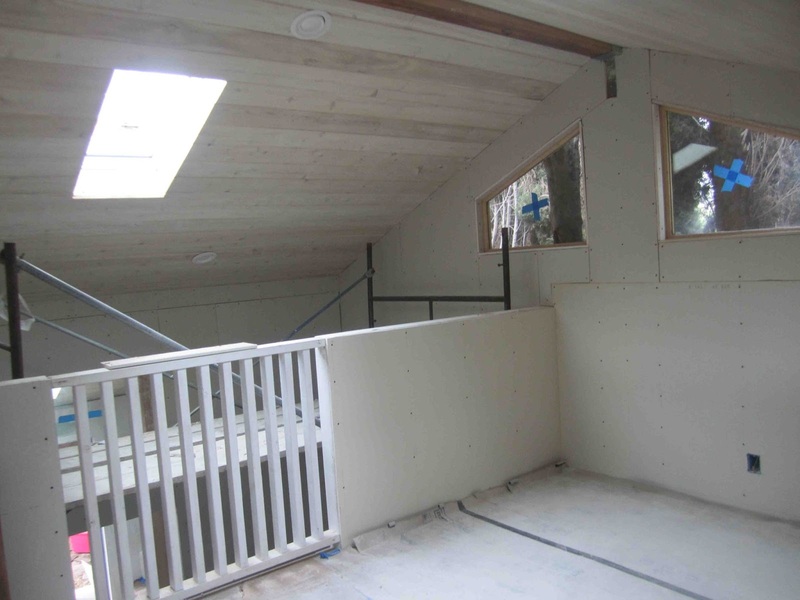 Here's a shot of the loft area. That's the ram board on the floor to protect the new hardwood floor. Another view of the loft. It took some time to cut those planks around all the light fixtures and sky lites. 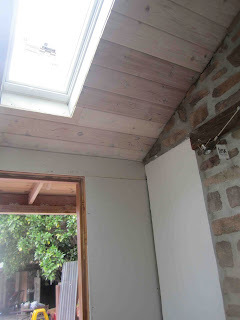 Here is the little nook. The dry wall and ceiling is in. Here's a view of the bedroom just below the loft. 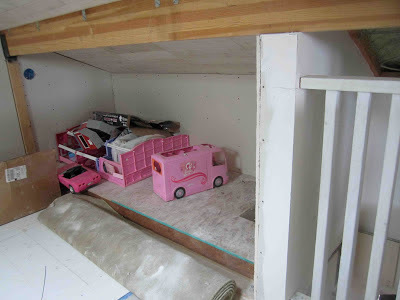 Yeah--dry wall here, too. 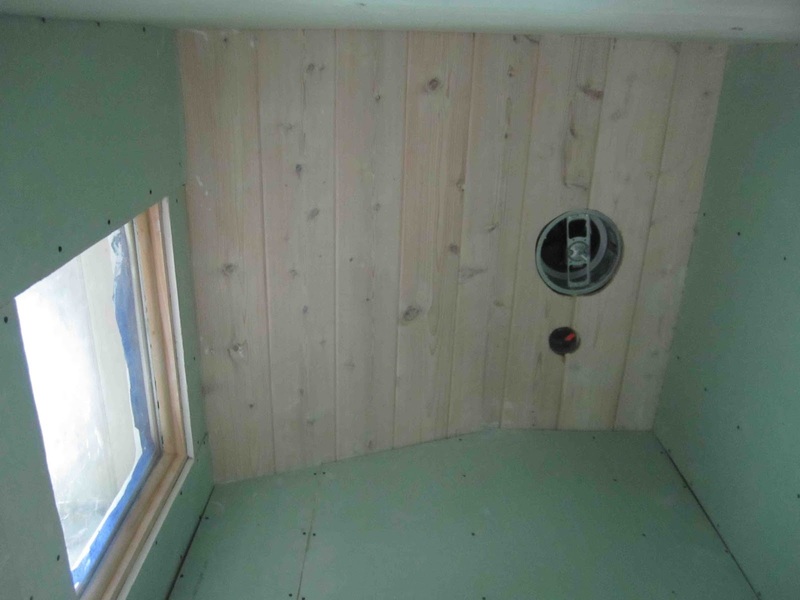 Dry wall in the ceiling way above in the water closet for the kid's bathroom. Here's the area just above the kid's bath tub/shower area. These planks have been coated with a marine sealant. 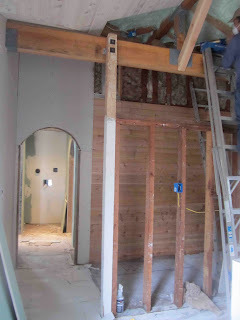 A view of the closet wall in our master bedroom going in. 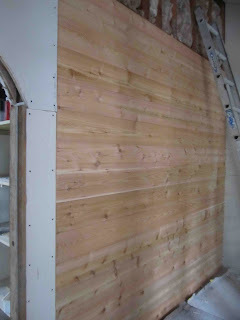 We decided to continue the cedar on the inside of the closet, but not white wash it like the ceiling. The wall you see here will actually be inside our closet. Here's another view of the cedar-lined wall that will be inside of our closet. Here's just a little peek at the ceiling in our kitchen. More of these planks went in today while I've been at work, so I can't wait to see how they look. I’m editorial director at Basic Media (a custom magazine publishing company) and Basic Health Publications (our book publishing division). I started this personal blog to update my family and friends about my ongoing home renovation, but if you've landed here, please feel free to look around. Originally from Syracuse, New York, I live in West Los Angeles with my husband Milo, two kids (Zjena and Max), one dog (Loretta) and our three chickens. 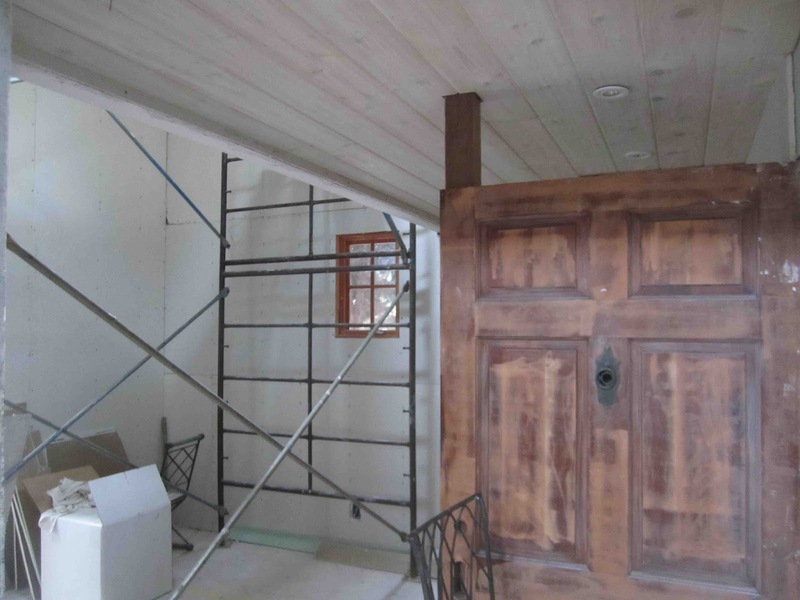 When I'm not renovating my house, I'm building in-door slip-and-slides or teepees out of burlap. An Authentic Haunted House and a Furniture Store With Prices That Are So Low They're Scary! I'm Floored: The Terra Cotta Tiles Are Going In!